Black jeans are the fashion-forward finisher in your denim collection. 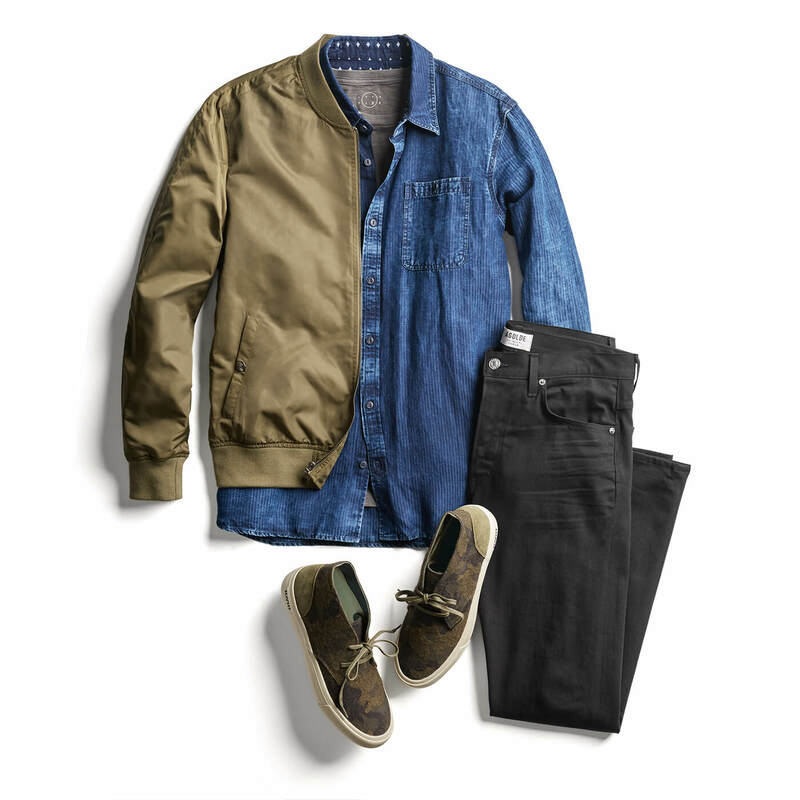 The dark neutral wash makes them a fresh alternative to your classic blue and navy staples with just as many pairing options. Now that you’ve added them to your rotation, you’ll find there’s a ton of options for your jeans to create a cool, casual vibe any time of the year. Neutrals always work with other neutrals, so feel confident in pairing your black jeans with white, grey, cream and navy and button-ups. 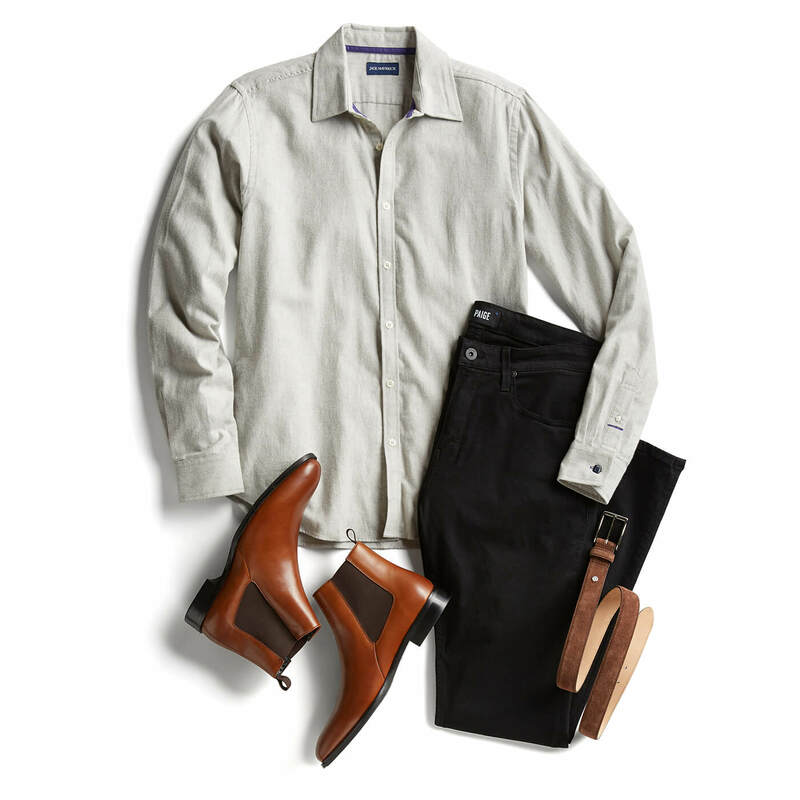 Grey and white shirts create a clean combo, while a monochromatic black shirt and jeans pairing adds subtle contemporary edge. And yes, if you’re wondering—you can wear brown with black. Stay warm in cold weather with a wool or cashmere sweater. 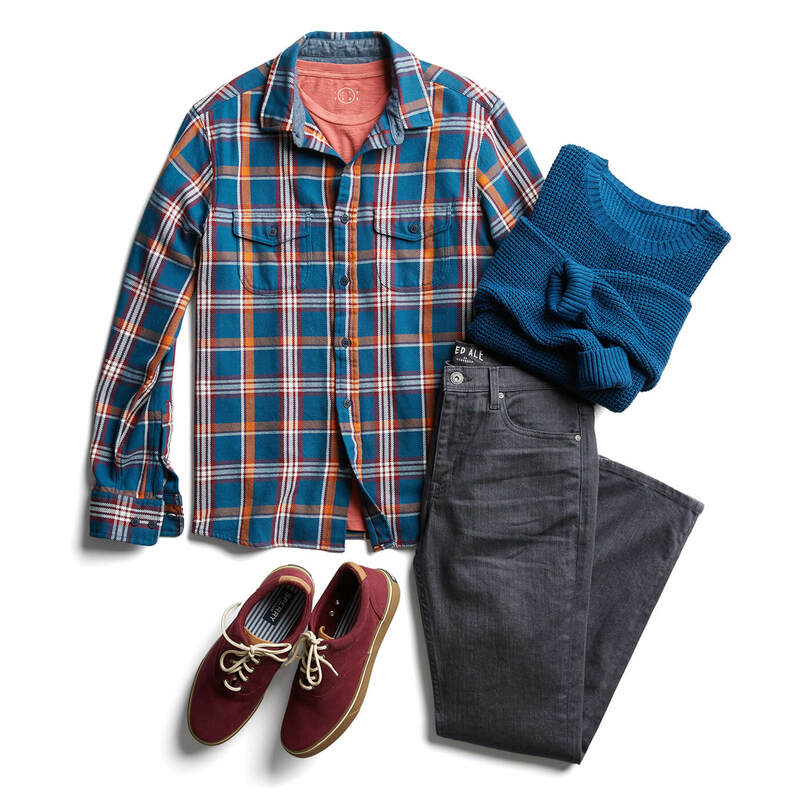 Keep it casual with a hooded sweater, or dress up those black jeans with a cashmere V-neck over a button-up. A conversational print shirt can jazz up your neutral black jeans as well. Swap out your dot prints for a mini critter print (bears and foxes are our winter faves) or opt for a seasonal ditzy floral. Layering options are limitless for your black jeans, so don’t be afraid to step out of the box and try something new. Go denim-on-denim with a blue or grey jean jacket or pair tees with a zip hoodie, puffer jacket or quilted vest for laid-back layering. Bomber, moto or leather jackets keep that contemporary vibe, while car coats and pea coats lend a polished finish to your outfit. One more tip: Don’t forget about your socks! Your socks should usually match your jeans or pants rather than your shoes, so opt for a black or dark grey sock to start. For a fresh take, try bolder hues or printed socks round out your look with style. Ready to try black jeans yourself? Schedule a Fix and ask your Stylist for a pair.